A high-speed pursuit along Interstate 70 ended west of Salina late Thursday afternoon. 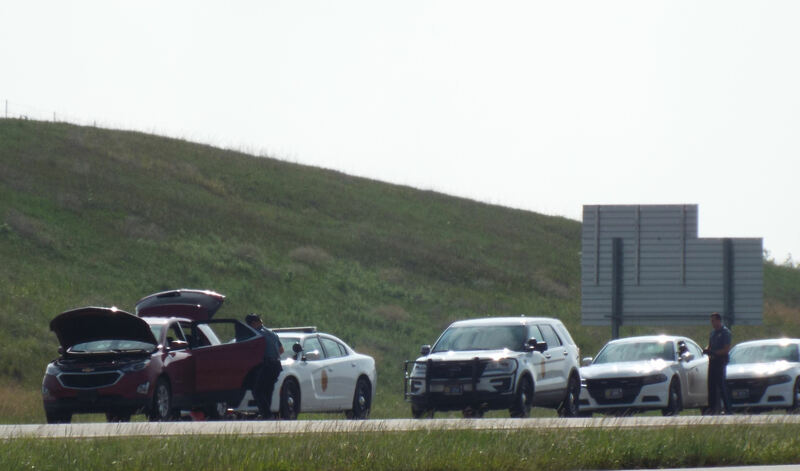 The Kansas Highway Patrol tells KSAL News the pursuit began when a trooper attempted to stop a small SUV for a moving violation. The SUV failed to yield to the trooper’s emergency lights and siren, and the the chase was on. The pursuit was initially headed east. It briefly reversed course, before turning back around and heading east again. The SUV, driving at speeds in excess of 100 miles per hour, weaved through traffic and at times passed other vehicles using the shoulder of the road. The chase ended peacefully, at around 4:45, near the Hedville Road Exit about 10 miles west of Salina. At least one person in the SUV was taken into custody. His name was not immediately available. The patrol says the driver will face multiple charges, including felony fleeing and eluding. Troopers work the scene where the chase ended Thursday evening.